Hey Y'all! It's April from Grade School Giggles! I’m thrilled to be here writing the post for The Primary Peach today. 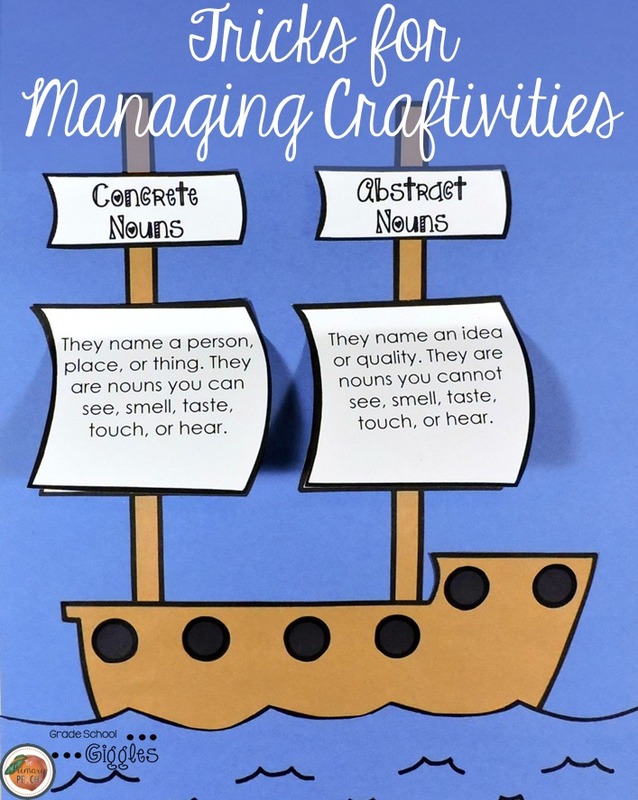 This month we are sharing classroom tips to help you out. Craftivitivies are one of my favorite teaching tools. I love getting my craft on and so combining crafting and learning is right up my ally. Over the years, I’ve found a few tricks to make them easier to manage. Let’s start with simplifying the prep work. Many craftivities require pieces to be cut out of construction paper. 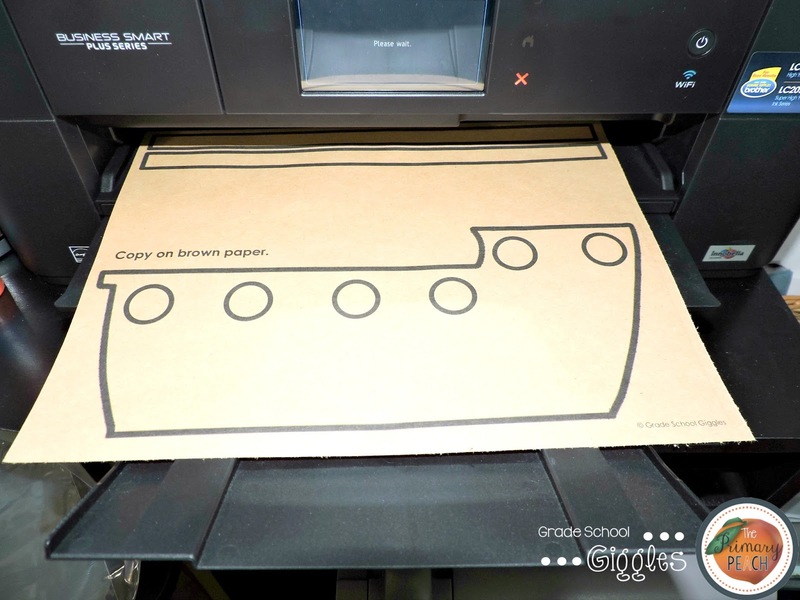 Copying or printing the patterns directly onto your construction paper is the simplest option. 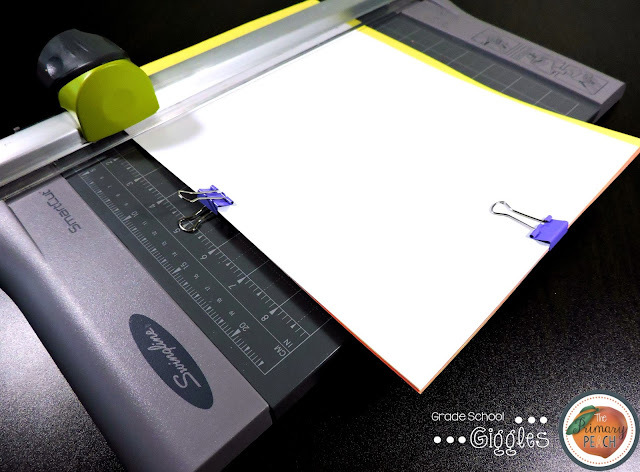 I use a binder clip or two to hold a piece of 8.5 by 11 paper onto my construction paper and use that as a guide to trim my construction paper down to size with a paper cutter. Then, I just run it through my printer or copier. Sometimes, printing or copying onto the construction paper just isn’t an option. In those cases, I do one of two things. 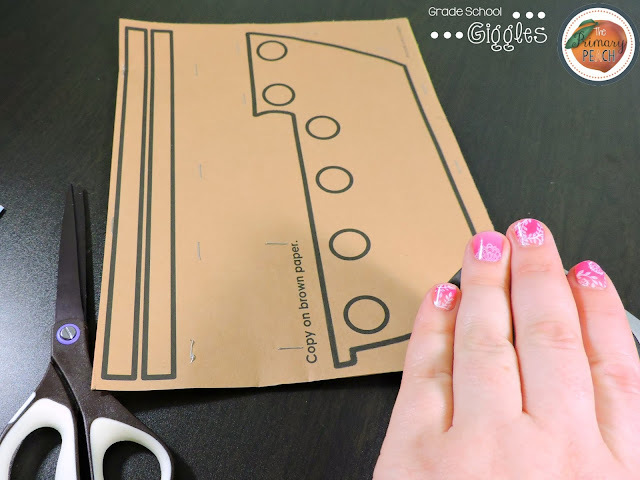 Either I make a set of tracers for the kids to use by tracing my pattern pieces cardboard or I make a stack of paper with my pattern on top (printed or traced), staple all around the edges, and cut out the pieces myself. Stapling around the edges keeps the papers from shifting as I cut and lets me cut a whole stack at once. It is really important to model the process with your students. I try to do this even before passing out supplies because I really want them focused. Making an example in front of the students can really clarify expectations for them. It sets them up for success, lets them see the final product, and helps get them excited. I also like to save time passing out supplies and by prepping ahead of time. I give each student a gallon size plastic baggie with their name on it. 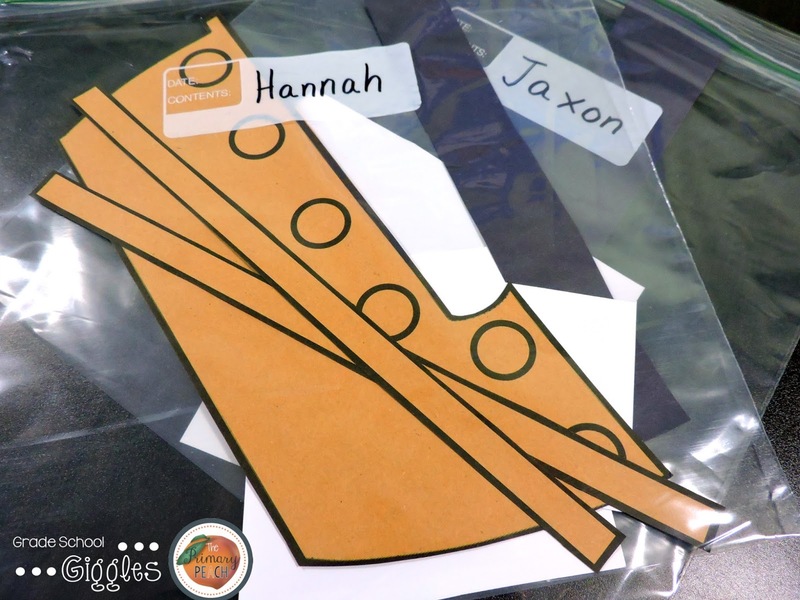 I add all of the pieces that each child will need into the baggie. Doing it this way means I know that everyone got all of the pieces. It also gives each child has a place to store their pieces if they don’t finish. I collect the bags at the end to reuse for our next project. Finally, remember craftivities are about learning. It’s okay if the kids make mistakes or projects aren’t perfect. It’s another way to get your kids excited about learning and that’s the whole point. If you haven’t tried any craftivities this is the perfect time of year to start. Like this tip? Come back each day for a NEW tip from a different author ALL through November!